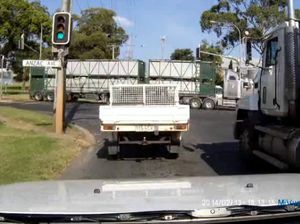 This incident, captured with a dash-mounted camera, shows why drivers should not go on the inside of a turning truck. 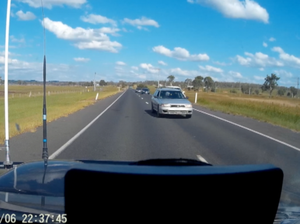 News RECENT footage captured by a dash cam in Warwick showing a ute trying to overtake a turning truck up the inside has created a stir on Facebook. 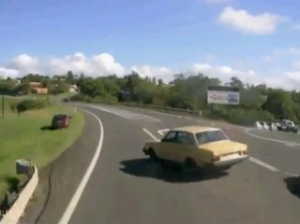 News REMEMBER– when it comes to a B-double versus anything smaller, the former usually wins.